Spring is here and summer is around the corner which means it’s time to change the menu! Our “Seasonal Best” is back! Alaskan & Canadian Halibut (exact same specie) are widely considered the world’s premium whitefish. This mild, clean flavored, firm treasure is one of the most popular fish on the menu or at the market. The season opened March 15th and is scheduled to close November 14, 2019…unless quotas are met before that time. This year’s quota is 38,610,000 pounds, up 3% from last year. This is good news-and an indicator that the fishery is being well managed. Halibut is a flatfish, in the Flounder family. 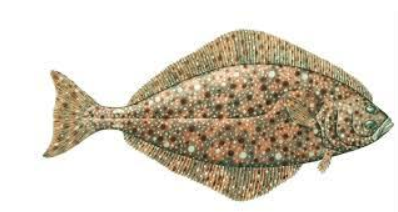 The word Halibut is derived from haly (holy) and butte (flat fish), for its popularity on Catholic holy days. This crowd pleasing treat can be poached, deep fried, grilled or baked. Halibut is an excellent source of protein and Omega 3. The wild Mexican Shrimp season closed the end of March. This is highly unusual since the season traditionally ends in January. This was a banner year, with most of the catch comprised of 13-15 and 16-20 count Shrimp. Prices are considerably lower this year than in 2018 as well. Mexican Shrimp has always been the “gold standard” throughout the world for quality Shrimp. So, enjoy! Oregon Pink Shrimp (also known as Bay Shrimp or Shrimp Meat) season opened April 1st and will close October 31st. The season is specifically set for these dates each year so that they do not overlap with the time that shrimp are carrying eggs. 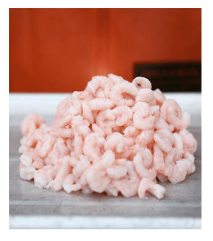 The past several years have produced substantially less pink shrimp than in previous years, creating prices that are 25% or higher. Bay Shrimp are sweet and full of flavor. They are an excellent addition to salads, quiche, stir-fry’s and crepes. The majority of the Oregon Shrimp are 250-350 count or 350-500 count. Canadian Lobster season opens May 1st. Producers anticipate the price of Lobster Meat going up as much as $2.-$3.00 per pound, and the price of Lobster Tails to come down. The reason for this is that when the cost of Lobster meat soared close to the $30 mark, restaurants took it off their menus. Producers had no choice but to drastically lower the price to keep the product moving. They raised the price on the Lobster tails to re-coup some of their losses. Both fishermen and producers are hopeful that this new season will bring balance back to the industry. Wild Mexican Bay Scallops, the best kept secret! These tasty morsels (60-80 count per pound) are sold individually quick frozen in 5# bags. They are dry pack (no water added), and wonderfully sweet and flavorful. Most other Bay Scallops in the market-place are farm raised in China, less flavorful, and usually smaller (80-120 count). 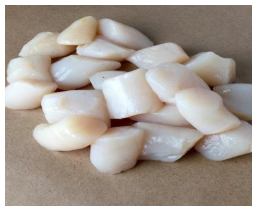 At a fraction the cost of traditional Sea Scallops, these Mexican Bays will boost your profit margins and delight your customers.